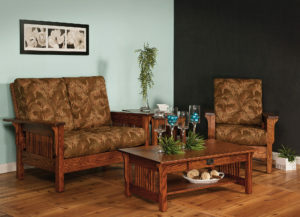 Loveseats fill the bill for a comfy, mid-size seat for your living room or den. 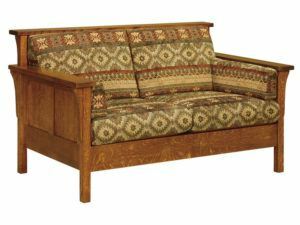 And a loveseat from Brandenberry fulfills your expectations for comfort, ruggedness and eye appeal. 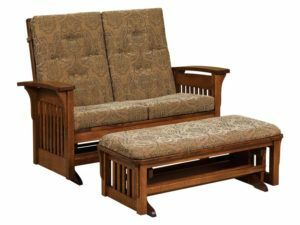 Because Amish craftsmen custom-build them all. So they’re far superior to your average furniture store offerings. 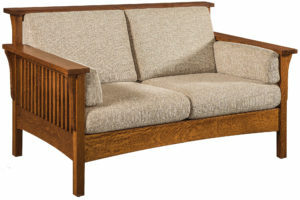 The Bow Arm Loveseat features beautiful wood slats. This Cubic Panel Loveseat with rectangle panels, corbelled corners, and your choice of fabric lends itself to comfortable living. 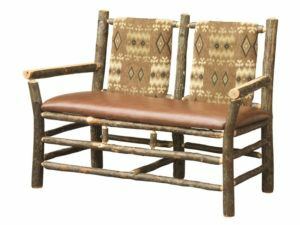 With your choice of fabric or leather, create the idyllic Cubic Slat Loveseat made just for two. 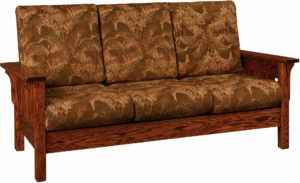 Plush upholstery and sturdy craftsmanship mark the Diamond Loveseat. 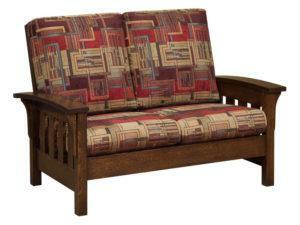 Sturdy construction and graveful design highlight the Durango Loveseat. 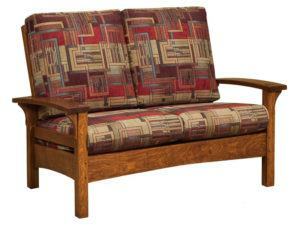 The Hickory Settee features fine wood construction. 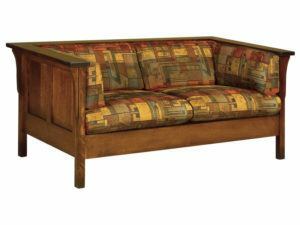 This Highback Panel Loveseat highlights cozy cushions covered with contemporary fabric and highback panels. 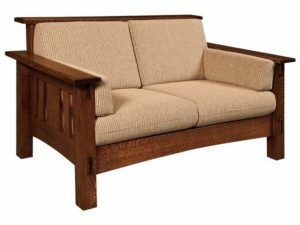 The design of this attractive Highback Slat Loveseat is defined by Mission Slats and corbels on each corner. 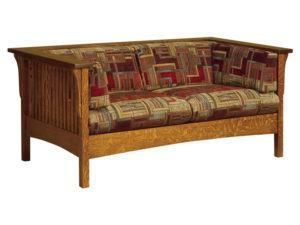 Sturdy wood slats accent the classic McCoy Loveseat. 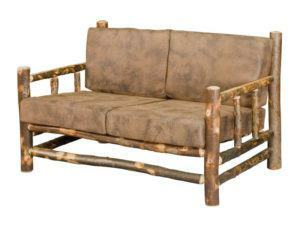 If you’re looking for a handsome, rugged loveseat that will be around for a long time, you’ve come to the right place. 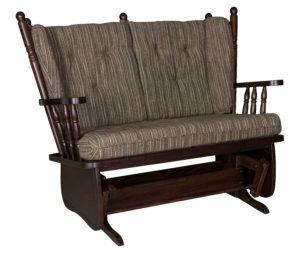 Our Amish craftsmen hand-build each loveseat with the utmost care and attention to detail. For example, they start with a genuine hardwood frame. And they use the finest materials, including plush fabrics. 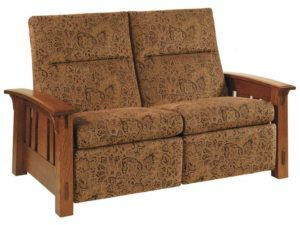 These features give our loveseats strength and durability. Even potentially making the piece a treasured antique of generations to come. 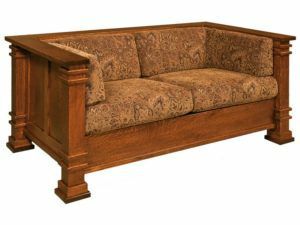 You may order your favorite loveseat as shown or unfinished. Or we can customize it to your specs. Just tell us your preferences. Such as fabric, hardwood, stain and finish. And if you’re ever close to Shipshewana, Indiana, visit our ‘brick and mortar’ store. 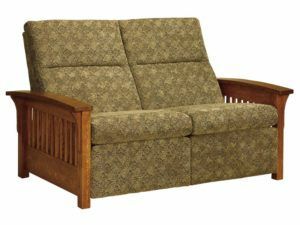 And discover top-quality, Amish built sofa and loveseat choices from Brandenberry.